Hip exercises are for problematic joints needing non weight bearing movement. True ball and socket pain between the femur and ilium, frequently causing groin pain, desperately needs regular, disciplined exercise. But which ones are best? The hip in the young person, consisting of a ball and socket, is not uncommonly affected by four conditions which, if not appropriately recognised and diagnosed, progress remorselessly to hip arthritis. All four demand hip exercises, depending on the extent and progress of the condition. Non weight bearing exercise is primarily the name of the game. Let's briefly consider these four conditions. "There is agreement among orthopedic surgeons, pediatricians and medical doctors that all children with hip symptoms or pain, or a limp, should be referred as emergency cases to an orthopedic specialist." Three orthopaedic researchers from two hospitals in Norway and Denmark, reporting in the Annals of Rheumatic Disease, confirmed what is already known about the knee; namely that patient education and physical activity are the best early treatments for hip arthritis. 70 odd patients with significant hip pain and disability were divided into exercise and control groups. Exercise was more effective than education alone. Physical function of the hip exercise group was significantly better but there was no difference in the pain and stiffness. Their final conclusion was that exercise should be considered the first most important treatment in patients with hip arthritis, reducing the need for and delaying surgery. Now we need three chiropractic researchers to compare the effectiveness of chiropractic + exercises, with a control group who get the exercises alone, particularly whether pain and stiffness can be successfully addressed. My anecdotal experience is that it can be. Weight loss, the most effective treatment for knee arthritis, was not considered in this hip research. Whilst cynics would say this is simply delaying the inevitable, remember that total hip replacement lasts typically about fifteen years, in many it would greatly reduce the need for a second procedure. It has been shown that about 10% of children with hip and groin pain, a limp, unwillingness to weight bear, with upper leg pain and often associated referral causing knee pain, progress to full blown Perthes disease. Never accept the diagnosis of your limping child as having "growing pains" without a full and appropriate assessment. Perthes disease frequently progresses to a full hip replacement by age thirty. Appropriate exercise is a vital part of the care. 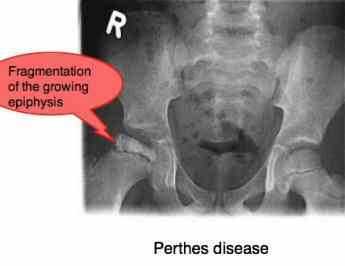 Perthe's disease is an "avascular necrosis" - death of the growing bone due loss of its blood supply. 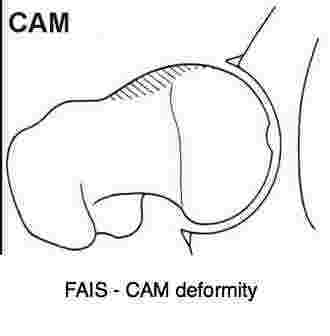 Femoro acetabular impingment syndrome is thought to be a hereditary condition of the hip joint in 90 percent of cases; it comes in two forms known as pincer and cam. The resulting impingement between the neck of the femur and the labrum of the socket causes premature stiffness, usually with reduced flexion, adduction and internal rotation. These signs are not unlike the signs of hip arthritis, but in the young adult; the young adult only rarely gets hip osteoarthritis. Unrecognised and untreated, the reduced movement of femoro acetabular impingement syndrome progresses to premature hip arthritis. Daily hip exercises are a vital part of the treatment. The purpose is both to mobilise the joint to keep the synovial fluid swishing about in the joint, and to strengthen the muscles associated with the joint. What makes it more complicated is that this condition can coexist with general hypermobility; the person whose joints are just more lax than others. Then you can have hypermobility along with femoro acetabular impingement syndrome; it's not usually discovered until pain begins in the hip and groin which may be as a young adult, or in later life. It's a silent and progressive but treatable disease, and it behoves the chiropractor to briefly examine the hips of every new patient. It takes only one minute to check the ranges of motion of the hips. Femoro acetabular impingement syndrome stands out like a sore thumb unless, as stated above, it's accompanied by hypermobility. In fact you can test yourself. Lying on your back, pull your knee to your chest, and then towards the opposite shoulder. Now, by pushing your lower leg in and out, rotate the hip in the socket. Lastly, place say your right heel on the opposite knee. Let your right knee drop outwards into the lotus position. Compare your right and left hips. Do any of them cause pain in the groin or side of the hip? Does either feel much stiffer than the opposite side? You may of course have it bilaterally. Of course, it's difficult for you to know what's normal. You've only ever done this test on yourself. If in doubt perhaps compare with a friend or family member. Should you have a family history of hip arthritis, and you are feeling this stiffness in the hip, then it would be best to ask your chiropractor about it. What's a bit difficult is that chiropractic, like medicine, is becoming specialised and your chiropractor may have more expertise in lower back pain rather than in hips; discuss it frankly with him or her. Pubic bone pain can be extremely disconcerting for the young woman after childbirth; gentle hip exercises are a good place to start. Many of these conditions cause pain in the groin area, the inner thigh muscles and the pubic bone is often extremely tender; it is the origin of many of the great muscles that run down the leg. Because prostate cancer primarily often metastacizes to the pelvic girdle it needs to be considered, particularly in the older man. Young women in particular, of child bearing age often suffer from embarrassing and awkward pubic bone pain; at it's worst it makes opening the thighs extremely difficult and painful. It usually responds very well to chiropractic care of the sacroiliac joints, the hip and the muscles in and around the groin. 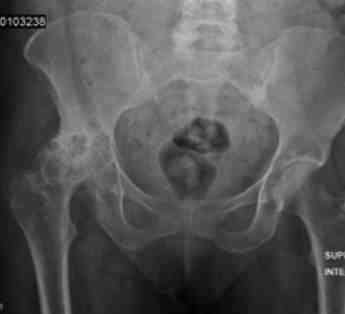 Conversely, because of an improperly formed socket, known as the acetabulum, developmental hip dysplasia causes a very mobile hip which in its more severe form will click in and out, or subluxate. Severe hip dysplasia should be detected at birth by the paediatrician but mild cases are often missed. A deep sounding thunk whilst changing your baby's diaper is characteristic. Groin pain in the young adult needs to be carefully assessed for hip dysplasia. Hip exercises are vital. One in a thousand children, predominantly obese female adolescents develop a condition in which the growing end plate of the hip slips causing groin and upper leg pain. It's not growing pains, mum. 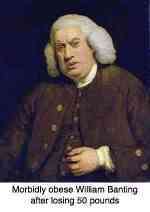 We've said it before elsewhere; the parent who allows their child to become obese is placing a curse on them. It is in my opinion grossly neglectful. The adult who becomes obese knows full well that the sugary, refined flour cakes and cookies, and colas are their downfall; but your child doesn't. Once again the limping child with pain in the groin, upper leg and radiating to the knee absolutely must be carefully and thoroughly assessed by someone experienced with treating hips. That might be your chiropractor who is likely to know far more about hips than your general practitioner, who would refer you out. Sooner rather than later a good examination, either way. Like hip dysplasia and femoro acetabular impingment syndrome, slipped capital femoral epiphysis is a serious condition that progressively leads to hip arthritis if neglected. You get no second chance with these conditions of the hip. Unless it's caught early slipped capital femoral epiphysis too can result in the first total hip replacement before thirty, and a life of misery. A life on crutches and multiple hip operations. I have had just such a patient; she passed away long before her time. There is strong research showing that how fast you can walk will directly affect how long you live. Anyone with one of these hip conditions that is not carefully and correctly managed is unlikely to walk at the same speed as a normal person. Your child must get the weight off that hip immediately. 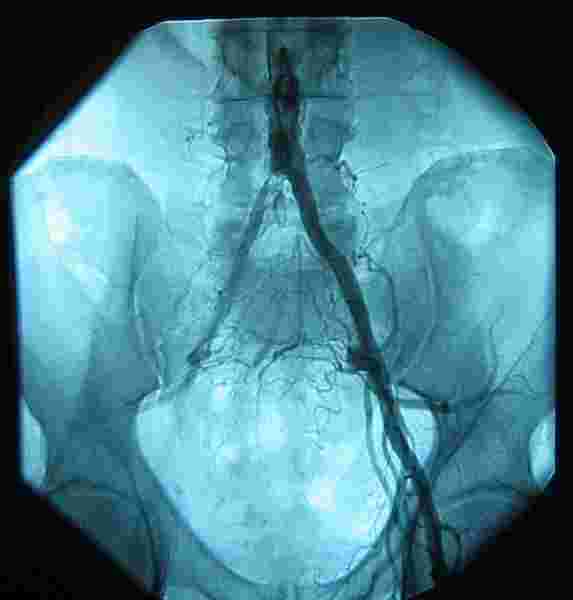 The blood supply to the growing epiphysis passes through the bone and, if disturbed, will result in the death of the growing end plate. You get no second chance; get expert advice. The reason that chiropractors are part of the team treating children with these hip conditions is that it invariably also affects the sacroiliac joint, and there we are the experts. There is no better way to treat the sacroiliac joint than the activator and zenith drop tables. Frank side posture manipulation may be done, but great care must be used not to place any stress on the hip joint. No different in fact to the treatment of the adult with hip arthritis. All living tissue requires oxygenated blood obviously. We are uncertain whether the death of this hip happened because of the slow loss of blood supply due to severe atherosclerotic furring of the aorta, caused by cigarette smoking, or from the operation to replace that part of the abdominal aorta that "dissected", at only 38 years of age. A transient loss of blood supply during the operation? Either way, smoking is a deadly habit causing death and disability of millions. Prior to the operation, she had no hip pain. Now, some thirty years later she is fairly disabled. Total hip replacement is on the cards, but she fears anaesthetic alzheimers. Meantime, hip exercises; she's coping and comes every six weeks for a chiropractic consultation. The basic hip exercises are so simple, and really every one should do them. They take only 30s before getting out of bed, and you can do them sitting too, at the office. Those to strengthen the core muscles are more difficult, but likewise don't take long. Perhaps a minute every morning; too much to save yourself from a hip operation one day? It's like brushing teeth. Prevention is the name of the game. Whether the hip pain is caused by Femoro acetabular impingement syndrome or hereditary hip dysplasia, or in fact any hip condition, these exercises to strengthen the muscles surrounding the hip are likely to be very beneficial. The first and simple basic hip exercises is to lie on your back, in bed, and every morning before springing out, pull your knee to the chest ten times; do both hips. The second is a little more complex; again lying on your back, pull your knee half way to the chest and then make a circle with the knee, going first outwards, and then towards the opposite shoulder. Complete the circle. These in the normal hip cause no pain at all but in a grumpy hip joint you will certainly have pain. Pull the knee gently to the boundry of the pain and then complete the movement on the edge of the pain; it should cause some discomfort but no pain. Start gently, and get to know what your hip condition will tolerate. The following hip exercises to treat the core muscles of the hip are more difficult, so it's divided into three parts. Master each before progressing to the next. Do part 1 daily for a week before progressing to part 2, and thence to part 3. Femoral nerve impingement in the upper lumbar spine may radiate pain into the groin and upper thigh area; it's one of the conditions that your chiropractor will consider, because hip exercises alone will not help. The sacroiliac joint is intimately tied in with all of these hip conditions. Whilst hip replacement, for example, has become a fairly routine procedure, today I had two patients who were suffering from significant pain in and around the hip after surgery; but careful examination reveals that the pain was not coming from "failed hip surgery" but from severely fixated sacroiliac joint. SI and hip exercises are just one part of the solution. Routine chiropractic treatment using the Thompson drop protocol is usually quite quickly successful. But both had had pain for over three years; no one had considered the sacroiliac joint anatomy as being a possible source of their pain. A relatively uncommon but very painful condition called intermittent claudication is important to consider; it's a blocked artery in the groin; it happens in smokers usually with a poor diet. I write about it simply because today I had a patient with groin pain whose leg pain symptoms are brought on with exercise, and immediately relieved by rest. Muscles in motion need more oxygen; at rest they don't complain. He is forty seven years old and has been doing the medical rounds for six months, unable to sport and even walking more than a couple hundred metres. The preliminary examination reveals all; no pulse in the ankle and foot; it took a chiropractor to think of the condition, and check the pulses. Intermittent claudication doesn't need hip exercises and certainly doesn't need anyone messing around in the groin. If the clot breaks free, it goes straight to the lungs, heart or brain. Summing it all up, hip and groin pain needs to be taken very seriously; if your doctor doesn't give it the attention it deserves, go elsewhere.